BOSS: Alex… you think I’m evil, don’t you? BOSS: I mean, really and truly evil, right? ALEX: Of course, Boss. Really evil. 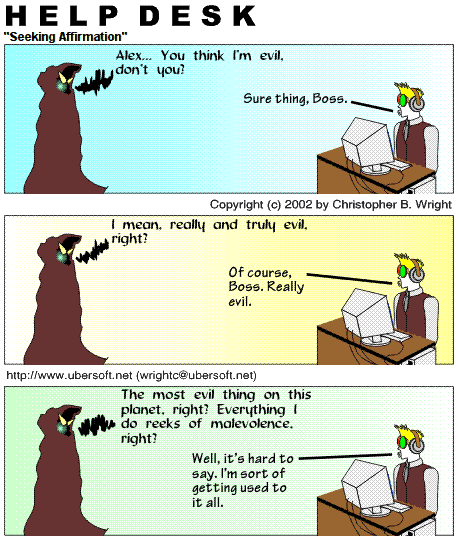 BOSS: The most evil thing on this planet, right? Everything I do reeks of malevolence, right? ALEX: Well, it’s hard to say. I’m sort of getting used to it all.